Medicaid is a health insurance program for low-income people that is financed jointly by the federal government and the states. In 2015, it provided health insurance coverage to 76 million Americans — close to 25% of the U.S. population. 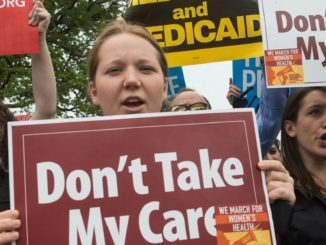 Medicaid is the largest single payer of nursing home care, and in combination with a related program — the Children’s Health Insurance Program (CHIP) — it provides health insurance to more than one-third of the children in the United States. 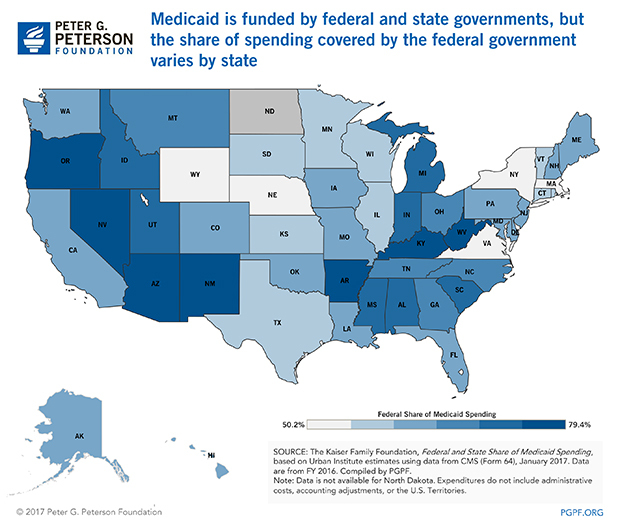 Amid ongoing discussions in Washington about making changes to Medicaid, this blog post describes what Medicaid is, how it is financed, and who benefits from it. Medicaid is financed jointly by the federal government and the states. The program is administered by the states, though it is also subject to federal oversight. As a result, there are actually more than 50 different Medicaid programs (including Washington, DC and the various territories) in the United States. 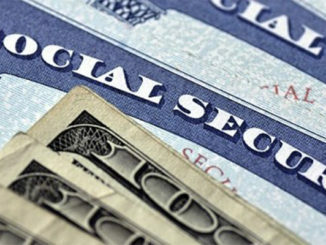 The federal government matches state spending on the program using a formula that takes into account differences in per-capita income among the states. 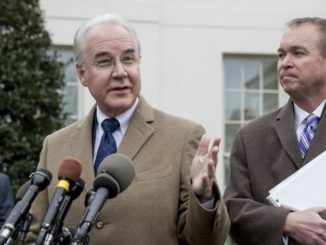 The federal government covers 60 percent of the total cost of the program on average, but the federal share ranges from 50 percent in a number of wealthier states to over 70 percent in several poorer states. For more details about Medicaid financing, the Kaiser Family Foundation has compiled an issue brief. 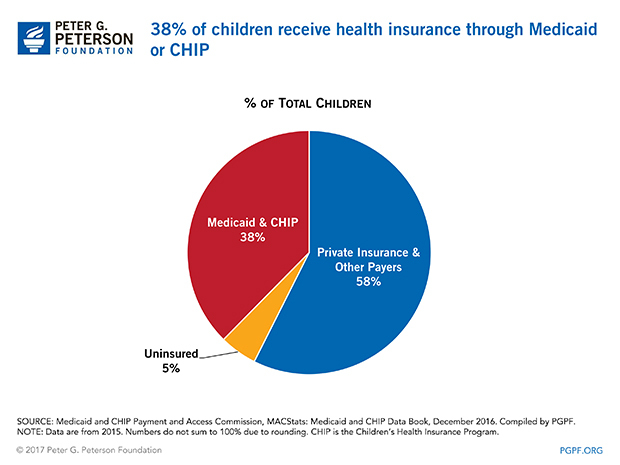 The government plays an important role in providing health insurance coverage to children through CHIP, which extends Medicaid benefits to children of families whose incomes exceed the limits of the traditional Medicaid program. Approximately one-third of the nation’s 85 million children age 18 and under received their health insurance through Medicaid or CHIP. 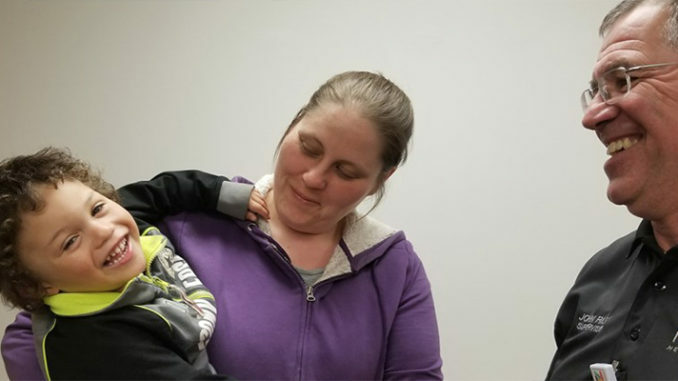 The programs also provide health insurance for low income pregnant women and new mothers and pay for approximately 50 percent of all births in the United States. In addition, Medicaid is an important source of insurance for children with special needs. 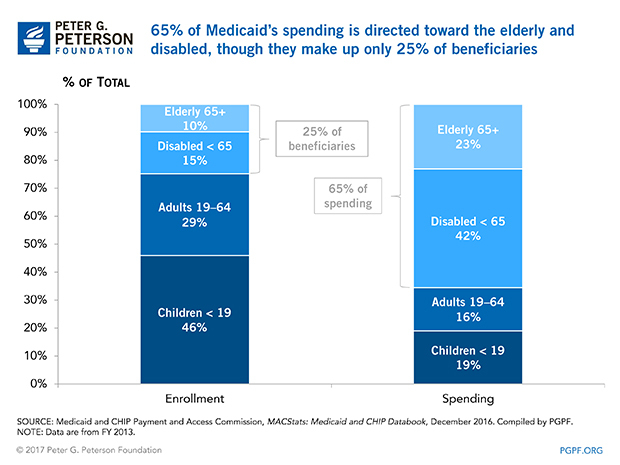 Medicaid spends almost 65 percent of its resources on elderly and disabled beneficiaries. Children, while making up nearly half of the beneficiaries, only account for approximately 20 percent of program spending. This is not surprising. Elderly and disabled people generally face more challenging health circumstances and consume more health services than children. In 2014, per capita spending for beneficiaries age 18 or younger was $2,363. By contrast, it was $13,446 for the elderly and $16,184 for the disabled. 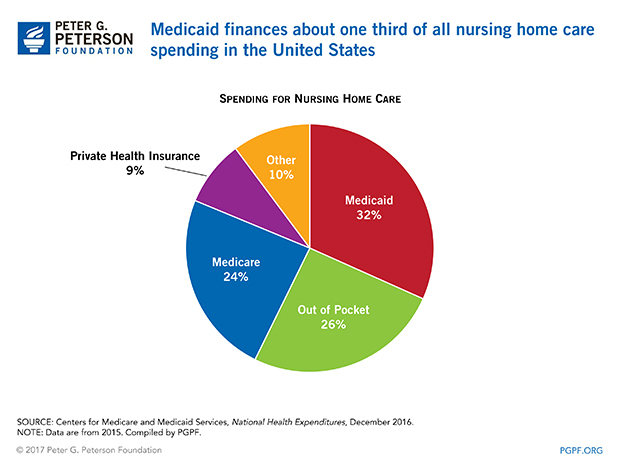 Medicaid is currently the largest single payer of nursing home services in the country and finances about one third of the nation’s nursing home care. Moreover, these costs will likely climb in coming years as the baby boom generation retires and more and more people live into their 80s and 90s. According to the Kaiser Family Foundation, one in three people turning 65 will eventually need nursing home care at some point during their life. Medicaid provides health insurance to low-income people across America. But it is a particularly important program for children in rural areas. 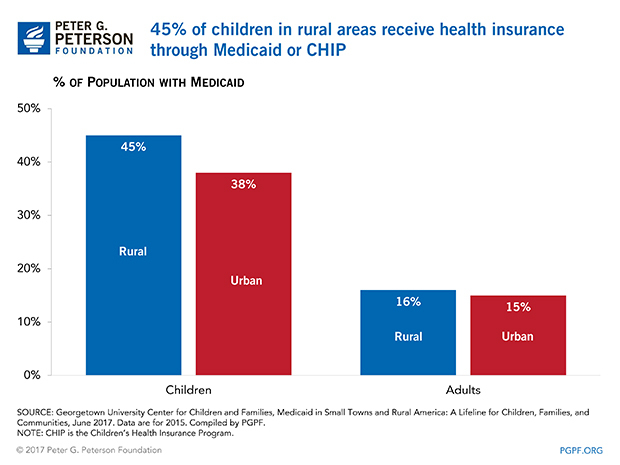 According to a study by the Georgetown University Health Policy Institute, 45% of children in rural areas receive benefits from Medicaid or CHIP.